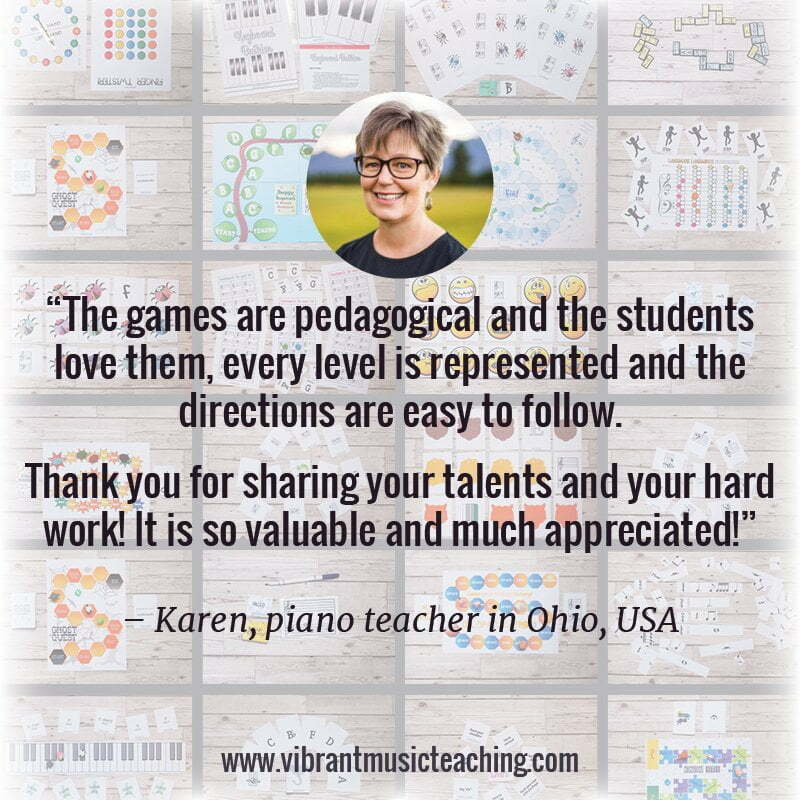 Finding practice focus might be a lifelong struggle even for us as teachers…but that doesn’t mean it isn’t something we can strive to help our students with. One of the ways I do this (as I’ve detailed in this previous post) is by setting practice goals and targets with my students. Did you notice I said WITH my students? That part is important. These should be collaborative goals and targets, and students should be involved in the process. 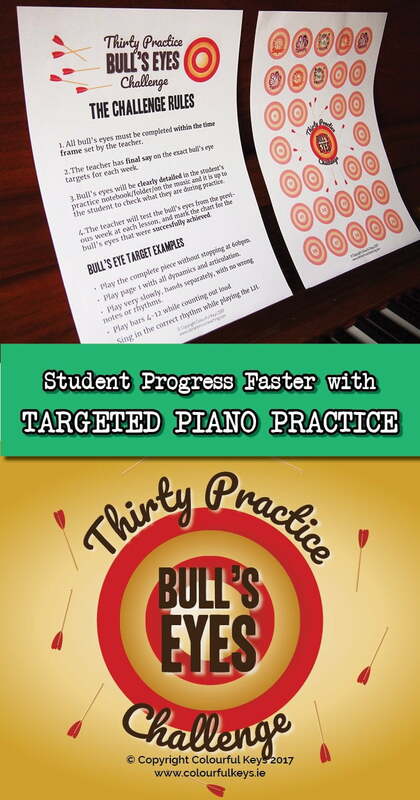 To complete this challenge, students must successfully achieve 30 practice targets during a set period of time. In my studio it will be 10 weeks. The rules for this challenge are pretty simple. All bull’s eyes must be completed within the time frame set by the teacher. The teacher has final say on the exact bull’s eye targets for each week. 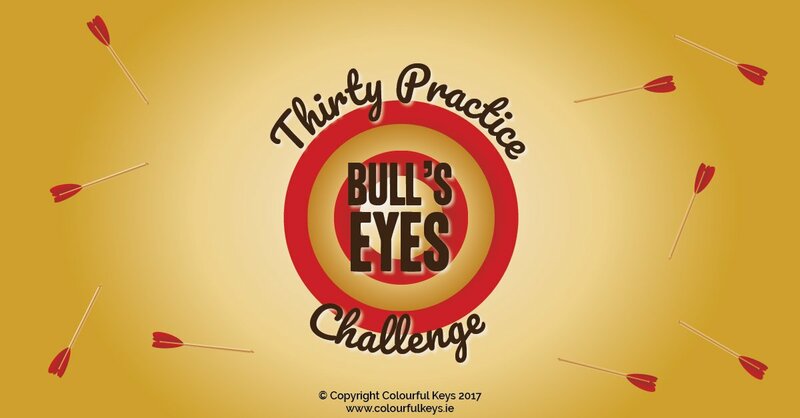 Bull’s eyes will be clearly detailed in the student’s practice notebook/folder/on the music and it is up to the student to check what they are during practice. 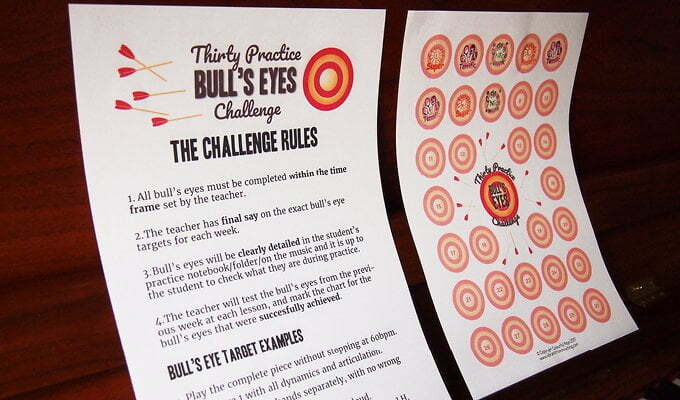 The teacher will test the bull’s eyes from the previous week at each lesson, and mark the chart for the bull’s eyes that were successfully achieved. I have not detailed a time frame in the printable itself as I wanted to give teachers the flexibility to set this to suit their students. I suggest setting it somewhere between 10-15 weeks. This will mean students have to accomplish 2-3 targets per week which is a good number – tough but fair. 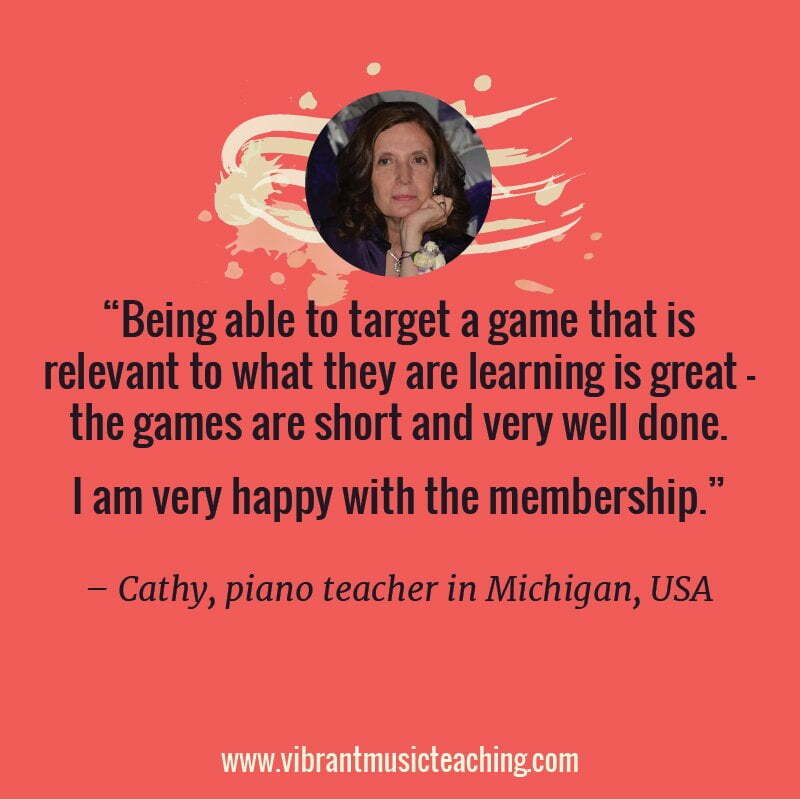 All targets must be specific and measurable. If a student comes back the next week and you can’t say for certain whether the target was achieved or not, then you need to tighten up the parameters. 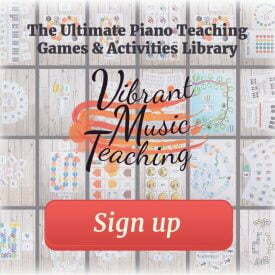 Play the complete piece without stopping at 60bpm. Play page 1 with all dynamics and articulation. 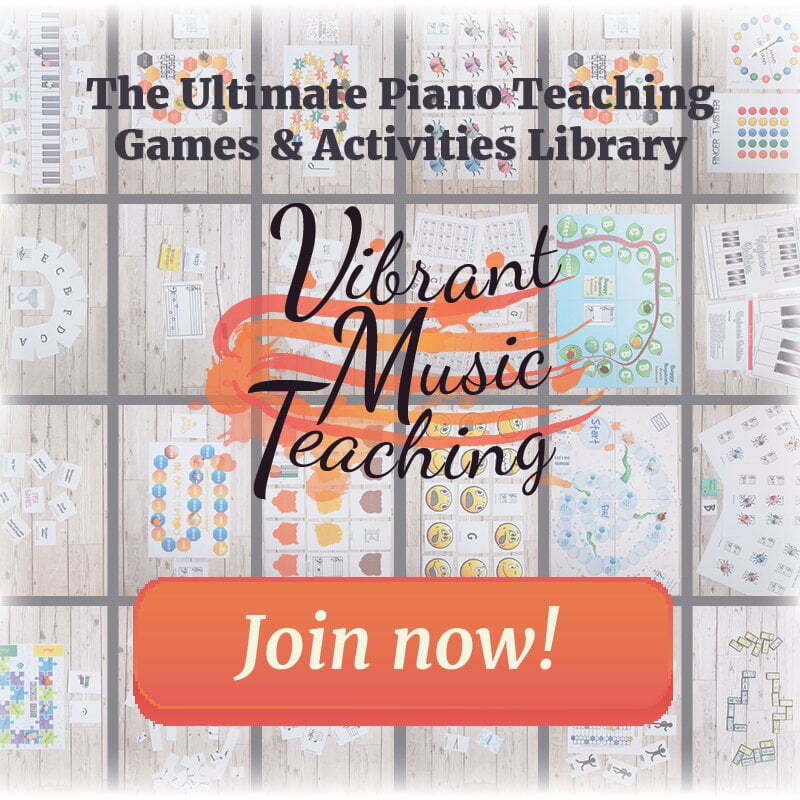 Play very slowly, hands separately, with no wrong notes or rhythms. Play bars 4-12 while counting out loud. Sing in the correct rhythm while playing the LH. Get your student’s input and chat about the target with them during the lesson. Remember: think collaborative. 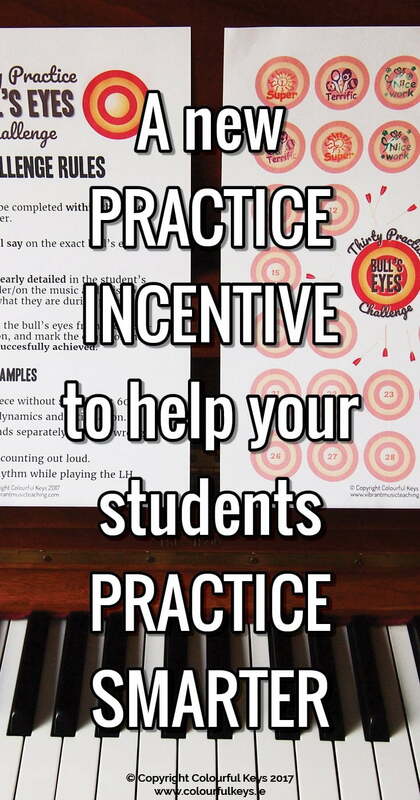 Use this challenge for one particular student, or as a whole studio practice incentive. 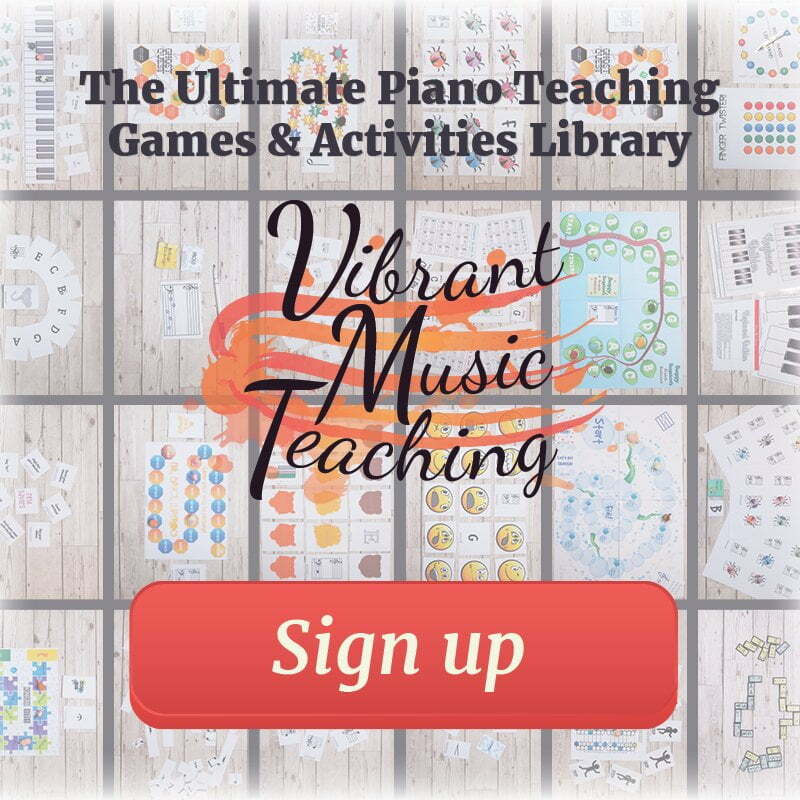 Decide how long the challenge will run in your studio. Suggested length is 15 weeks (two bull’s eyes achieved on average per week) but this is entirely up to you. Go through the rules together and add the tracking sheet to your student’s folder or binder. 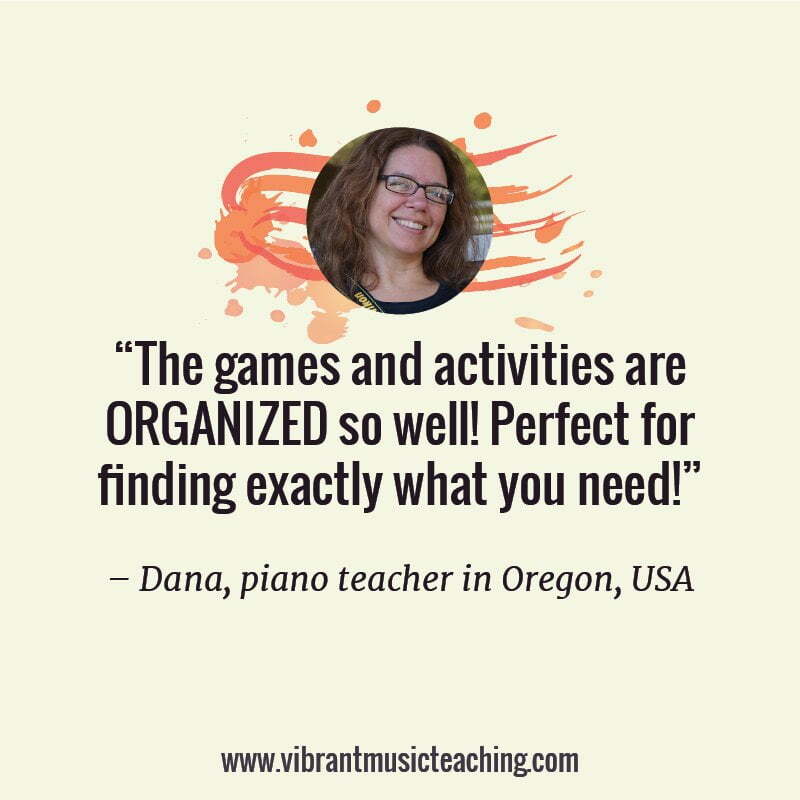 Write these targets down (or have your student write them) in their practice notebook, folder, or on a sticky note on their sheet music. Ask your student to explain the target back to you so that you know they understand their goal. 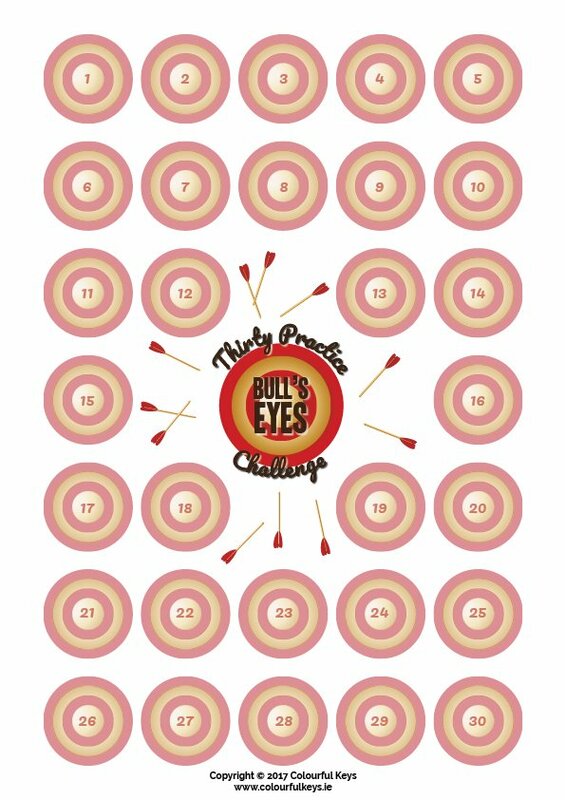 Check these targets at the next lesson and mark off achieved bull’s eye on the tracking sheet. Use stickers, stamps, or a simple check mark to mark off each achievement. 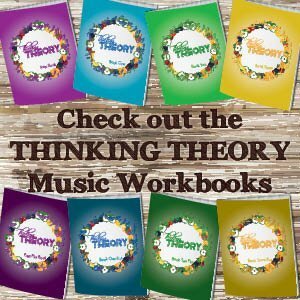 Every studio is different so feel free to adapt and tweak this process to suit you and your students. 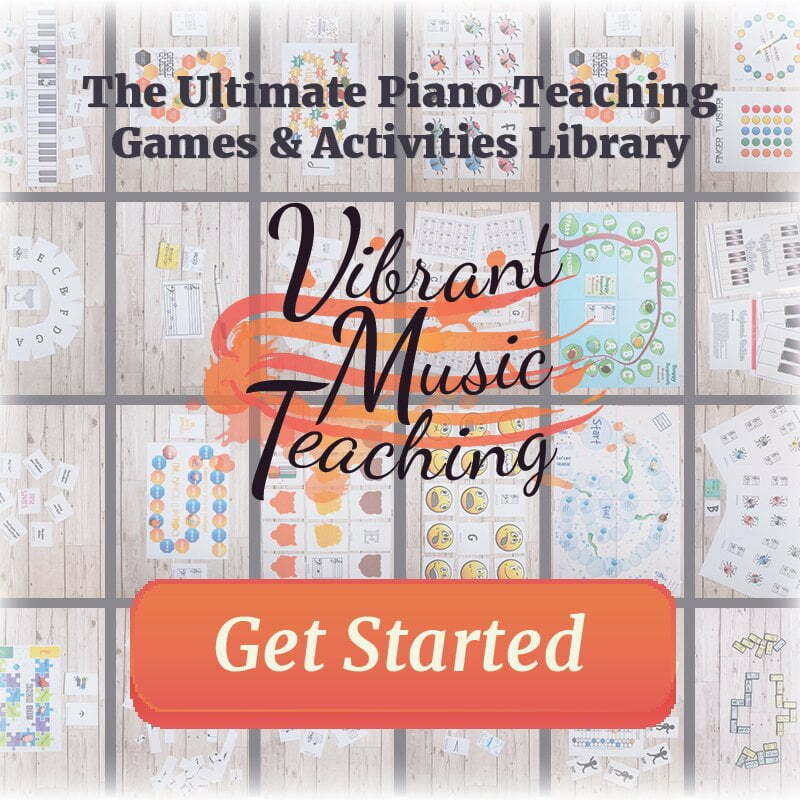 If you want a way to reward students when they complete this challenge, make sure to check out the challenge poster and stickers pack that I shared last week. Glory really is the best prize! 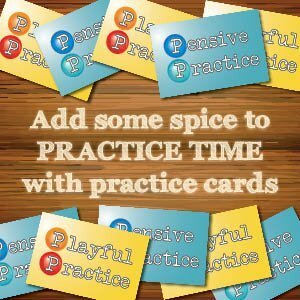 Print out the rules and tracking chart and use it with your students to improve their practice quality and efficiency. 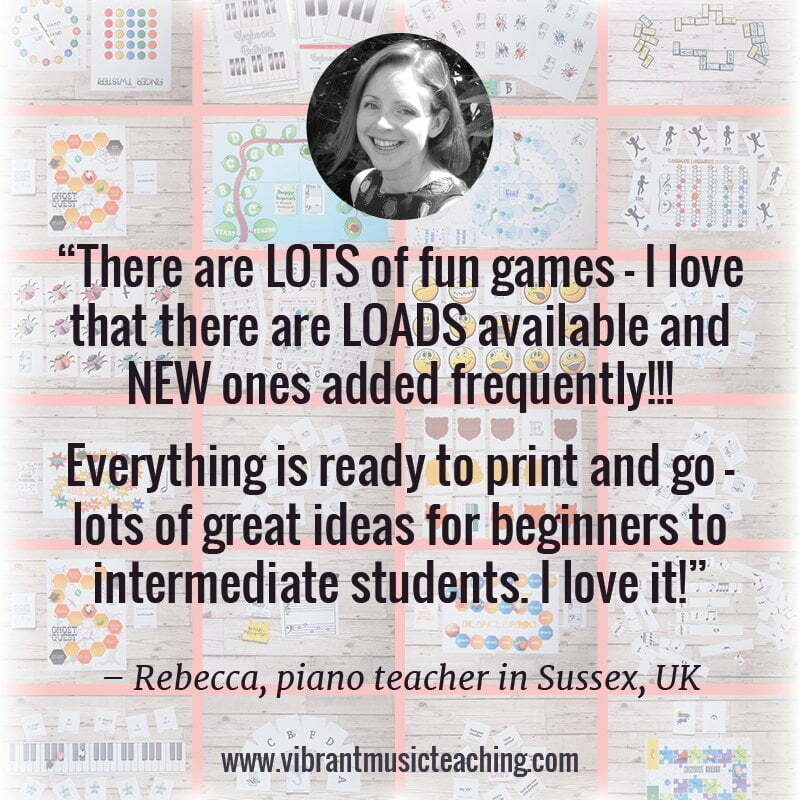 Does the idea of greater practice focus among your students excite you? What age do you think YOU were when your mindset shifted to achieving rather than just putting in the practice time?